Endovascular treatment modalities have decreased the mortality and morbidity of thoracic aortic diseases considerably in the past decades, due to the effectiveness of such interventions and the minimal invasive character. While endovascular treatment options have become more advanced, preoperative planning and follow-up outcomes are still mainly based on the measurement of the maximum diameter and growth rate of the thoracic aorta on static imaging. These measurements do not take into account the biomechanical aortic behavior over the cardiac cycle and do not visualize hemodynamic changes in blood flow. 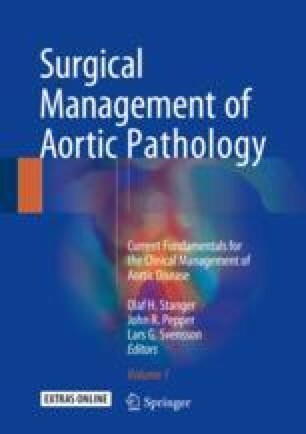 In this chapter, we evaluate endovascular treatment options from a biomechanical point of view and assess how dynamic imaging and computational modeling may contribute to the understanding of thoracic aortic diseases and aid clinical decision-making.